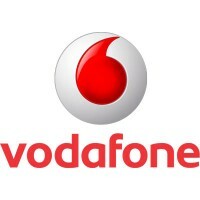 The share price for Vodafone Group plc with company EPIC: LON:VOD has declined -2.28% or -3.28 points during today’s session so far. Traders were far from a positive bunch during the session. The periods high has already touched 146 dipping to 140.1. The number of shares traded by this point in time totalled 39,066,419 while the average shares exchanged is 78,507,410. The 52 week high is 228.05 which comes in at 84.01 points in difference to the previous days close of business and a 52 week low sitting at 140.1 is a variance of 3.94 points. Vodafone Group plc now has a 20 SMA of 153.5 and now the 50 day moving average at 158.9. The current market cap is £37,616.37m at the time of this report. The currency for this stock is GBX. Market cap is measured in GBP. This article was written with the last trade for Vodafone Group plc being recorded at Friday, January 25, 2019 at 11:59:59 AM GMT with the stock price trading at 140.76 GBX. Shares in Burberry Group plc with company EPIC: LON:BRBY has slid -1.81% or -33 points throughout the session so far. Sellers aired on the negative side during the trading session. The high for the period has peaked at 1818.5 and a low of 1789. The total volume of shares exchanged so far has reached 293,302 with the daily average traded share volume around 1,531,797. The stock 52 week high is 2338 some 515.5 points different to the previous business close and a 52 week low sitting at 1481.5 a difference of some 341 points. Burberry Group plc has a 20 SMA of 1772.08 and now its 50 day moving average now at 1784.99. This puts the market capitalisation now at £7,357.62m at the time of this report. The currency for this stock is GBX. Market cap is measured in GBP. This article was written with the last trade for Burberry Group plc being recorded at Friday, January 25, 2019 at 11:59:58 AM GMT with the stock price trading at 1789.5 GBX. Shares in INTERCONTINENTAL HOTELS GROUP Common Stock EPIC code: LON:IHG has moved down -2.21% or -97 points during today’s session so far. Sellers aired on the negative side during the session. The high for the period has reached 4401.5 meanwhile the session low reached 4285. The total volume of shares traded by this point was 176,426 whilst the daily average number of shares exchanged is just 586,826. The 52 week high for the shares is 5050 some 666.5 points difference from the previous close and the 52 week low at 3850 a difference of some 533.5 points. INTERCONTINENTAL HOTELS GROUP Common Stock now has a 20 SMA of 4451.2 and the 50 day simple moving average now of 4449.52. The market cap now stands at £7,768.51m at the time of this report. The share price is in Great British pence. Mcap is measured in GBP. This article was written with the last trade for INTERCONTINENTAL HOTELS GROUP Common Stock being recorded at Friday, January 25, 2019 at 11:59:56 AM GMT with the stock price trading at 4286.5 GBX. Click BRBY IHG VOD for the full archive.